Best Jamaica tours will help you get to know Jamaica's beauty intimately. We at Best Jamaica provides Private Tours which a personalized approach, allowing you to indulge in your wishes, so that you will fully enjoy all our private tours and excursions. You choose your starting point, departure time and we will do our best to meet your expectations. Best Jamaica Private tours include places where you will not only explore our rich heritage and magical scenery, but also experience the authentic taste of the island. Best Jamaica offers private tours mainly originating from Montego Bay Hotels and close environs to anywhere on the island. With over 20 years’ experience in hospitality and local knowledge our tour guides and chauffeurs are trained representatives who will go the extra mile, to ensure you get the best out of your visit at no extra cost. 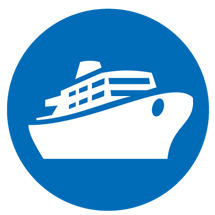 Based on time constrains there are some excursions that are suited for persons arriving on cruises. These so call Jamaica Shore Excursions are closer to the ports or easily accessible by good roads. We operate mainly from the Montego Bay and Falmouth Cruise Ports helping visitors by offering private tours and Jamaica excursions. With just about 7 hours to play with, shore excursion time spans is somewhat limited and so Best Jamaica would like to help you plan and execute your day under the sun in order to get the most out of it. As tour operators we are quite knowledgably on distances, time and local driving condition which will be factored into planning your day of the Best Jamaica Cruise Excursions. 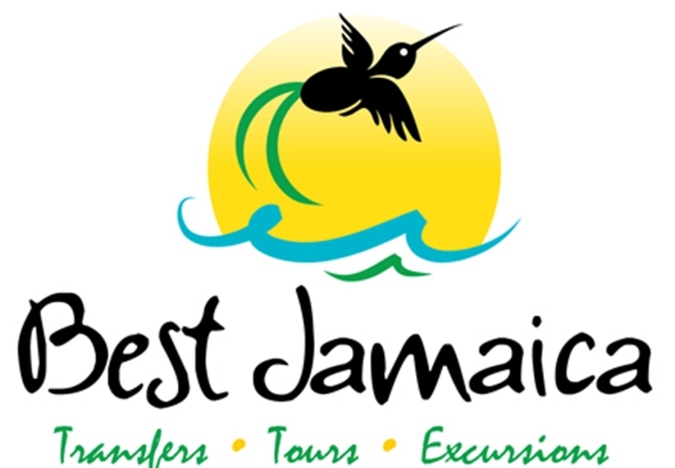 ■ Best Jamaica Tours has the best private tour rates from Montego Bay Hotels and cruise ports. ■ We have solid local knowledge which you can count on all private tours or excursions. ■ Best Jamaica Tours always on time/ yet never in a hurry. 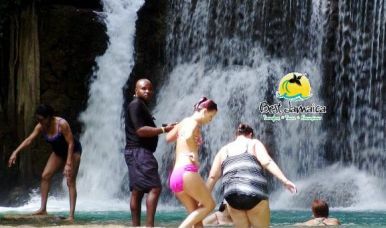 ■ Best Jamaica is the guardian of your satisfaction always ensuring memorable private tours in Jamaica. ■ Our private cruise excursions is second to none. ■ All tours and transfers are private. ■ All vechicles are spacious, modern and fully air-conditioned. Why Best Jamaica Private Tours? The Blue Hole Secret Falls, nestled in the hills just outside the resort town of Ocho Rios in the parish of St. Ann it’s a natural wonder and certainly one of the best things to do in Jamaica. Jamaica is known to have many water sources; waterfalls such as the Dunn’s River Falls being the most famous. The newly discovered Blue Hole Secret Falls is another water-fall that ranks really high as well; it is the new phenomenon in Jamaica. While the Dunn’s River gives the thrill of climbing, the Blue Hole permits, diving, cliff jumping, rope swings and even cave exploration. While visiting Jamaica and indulging in its wonders, the Blue Hole Excursions is a must do; it can be combined with other excursions to enhance your Private Day Tour experience. 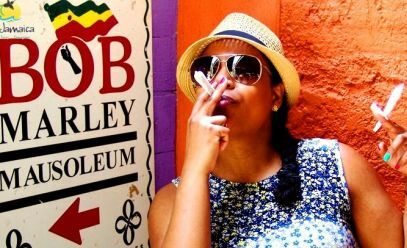 The Bob Marley Nine Mile Tour, horse-back ride and swim, the Dunn’s River Falls or even river tubing are fantastic options. 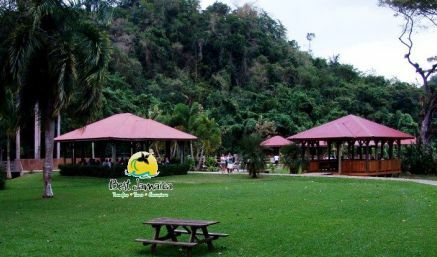 Located in Ocho Rios, the Dunn’s River is certainly Jamaica’s most famous tourist attraction and a safe bet for an excursion choice. This waterfalls are majestic to say the least, and a beautiful body of water tumbles down the well washed limestone rocks forming many shallow natural pools that small kids even at age six can enjoy. At the end of the hike up the falls, the guides look forward to a tip which of course is totally discretional. Like the Blue Hole, the Dunn’s River Falls Tour can be combined with some other excursions as well. Doing both the Blue Hole and the Dunn’s River Falls is a great option; though they are both water attractions, the experiences are different and so worth the trod. Other fantastic selections are: the Bob Marley Nine Mile Tour or even horse-back ride and swim. Horses have always play a great role in the lives of human being but sadly not everyone will have the opportunity of owning a horse. Horseback riding is undoubtedly a fascination of many persons but few may have this thrilling opportunity. 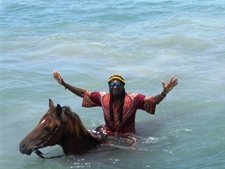 Your travels to Jamaica will make this dream come through without the overhead of owning a horse. There are a few locations where one can go horse-back riding and even taking the horse in the azure Caribbean Sea for swim. Horse riding and swimming make for beautiful pictures that you can cherish for a lifetime. Bird lovers can make their way to the Rockland Bird Sanctuary; this place offers a different kind of experience that words may not be enough to describe. As far as we know, the Rockland Bird Sanctuary is the only place in the world where one hand feed hummingbirds that live in the wild. It is one thing to see a hummingbird flying or extracting nectar from a plant, however it is different ball game when you are hand feeding them. One cannot imagine how beautiful these birds are when viewing from close up. The perfect arrangement of the plumage is unthinkable, buffeted by an arrangement of hues never seen before will stagger the imagination. This is certainly a must visit and it is great for visitors who enjoy nature and who prefer to do excursions that are of a slower pace. The Rockland Bird Sanctuary is certainly one of the coolest places to visit in Jamaica especially if you will be in the Montego Bay area. It is only about 20 minutes drive from the Montego Bay Cruise Port and about 1 hour from the Falmouth Cruise Port. This private shore excursion is certainly one of the best things to do in Jamaica. Negril is one of the regions of Jamaica that will cause a person to fall deeply in love with the splendor of the island. It is a small resort town located on the western end of the island; the size of which creates a deep level of intimacy for anyone who visits. The small town is famous for its Seven Mile Beach, a long stretch of beautiful white sand beach that welcomes strolling, jogging and swimming. It’s a perfect place for weddings and creating other special memories. Several Resorts have the awesome privilege of having their property located on this stunningly beautiful beach back drop. A visit to Negril would be in vain without visiting Rick’s Café: home of Cliff Diving and beautiful sunsets. Rick’s Café is a bar perched on a cliff with bustling activities and live entertainment. The Negril Sunset is the highlight of visiting Negril and its view from the balconies of the Rick’s Café is a feature that helps to make it as famous as it is. Visiting the town of Negril is highly recommended to visitors to Jamaica; the splendor of the experience leaves a lasting impression. It’s definitely not a place; it is a thing- a delicious baked meal that is the fascination of many visitors. The Jamaican Patty is a must have when visiting the island these delicious pastries has been around for many years. However, it has transcending from just a local lunch snack for locals and is now found in many of the hotels across the island. While the patties served in the hotel may be tasty, one cannot truly say that they had experience a Jamaican Patty without having it hot and fresh from the oven at one of the many bakeries on the island. 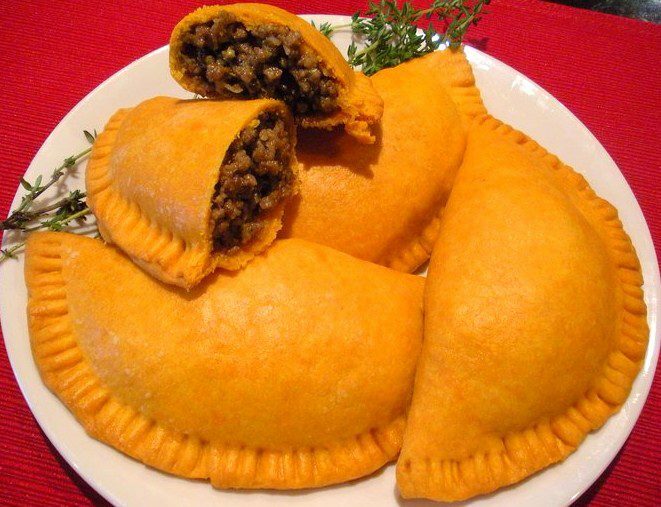 Seemingly, Juicy Patties is the brand that has captivated the taste buds of nationals and visitors alike; you shouldn’t depart the island until you have had your Jamaican Beef Patty. Jamaican beef patties are great when you are out on your private tour. Canopying is quite an adventurous activity; it may very well not be for everyone. All the while, for the young and the young at heart it is mild enough that even older folks can enjoy. Due to the fact that two-thirds of island of Jamaica is covered with limestone it gives birth to many lush and very mountainous areas. 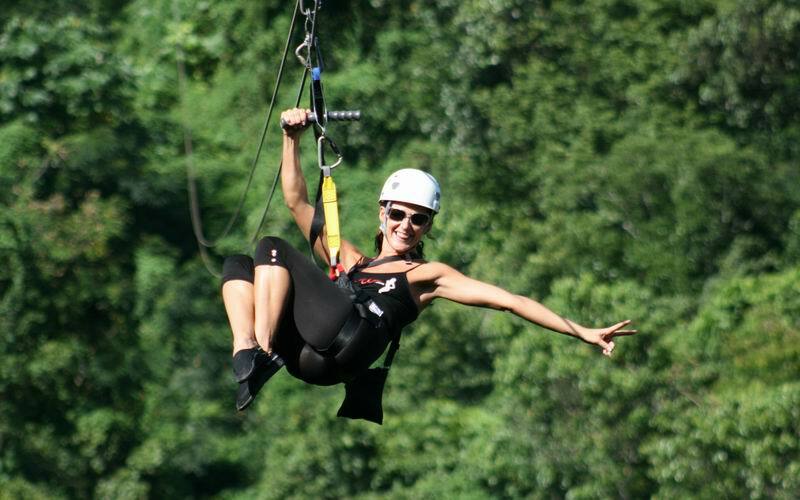 This certainly makes it friendly for an activity like zip lining; with the presences of high cliffs and gulfs. There are a few Zip Line sites along the north coast and also some Lines at the YS Falls on the South Coast of the Island. Considering that the activity is not an all day affair, we strongly recommend that you combine it with other excursions. 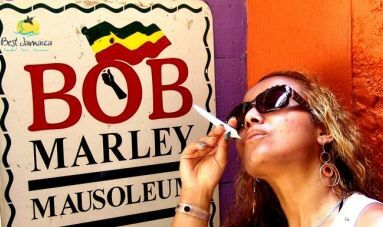 If are even a mild fan of Bob Marley the reggae legend, visiting his birth and final resting place got be surely one of the best things to do in Jamaica. Bob Marley is certainly the most famous Jamaican continue to gain popularity even though he passed on in 1981. Nine Miles is a rustic community situated about 90 minutes from Ocho Rios. While the journey is not that far in terms of distance, the small winding rural roads lengthen the travel time. The actual tour lasts for about 45 minute tour time after they try to sell you all they can. While this is not entirely appreciated it is tolerable since it will be only for a few moments. The life of the Reggae Legend started in this small district which is quite remote. It is a perfect reminder which illustrate that greatness most times comes out of humble beginnings. 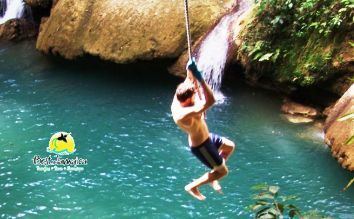 1.Climbing the Falls 2.Bathing in the Natural Spring Pools 3.Canopy Rides 4.Board Walking and Garden Strolling. Your arrival will be met with an adventure ride on the park’s tractor train to transport you to the Falls area. It is perfect for couples and families of all sizes and allows for creating unforgettable memories of life, love and Jamaica. The YS Falls, certainly one of the best things to do in Jamaica. Price includes admission and private transportation. 7 or more please contact us for group rate. 5 or more please contact us for group rate. Luminous Lagoon is a natural phenomal that should be on your bucket list as one of the best things to do in Jamaica. Located in the historic town of Falmouth in the parish of Trelawny. The town of Falmouth has rich history and is known to have had running water since 1799. The Luminous Lagoon tour starts in the evening around 6:30 PM when it gets dark. Giving the nature of the excursion, it depends greatly on the lesser light to have its greatest effect. The darker the setting the more pronounce the glow of the water. The actual tour of the Luminous Lagoon is a ride on a boat out on the bay for around 10 minutes in shallow waters. While the boat captain/ tour guide conduct the tour, it will be quite evident at the back of the boat where the propellers are making a stir that the water is laminated. The will then docked out in the lagoon where swimming is permitted. The history of the Bay is memorable especially when you learn of the rare existence of such bodies of water all over the world. You will also have the opportunity to have your memories captured by lovely pictures taken by the on board photographers.